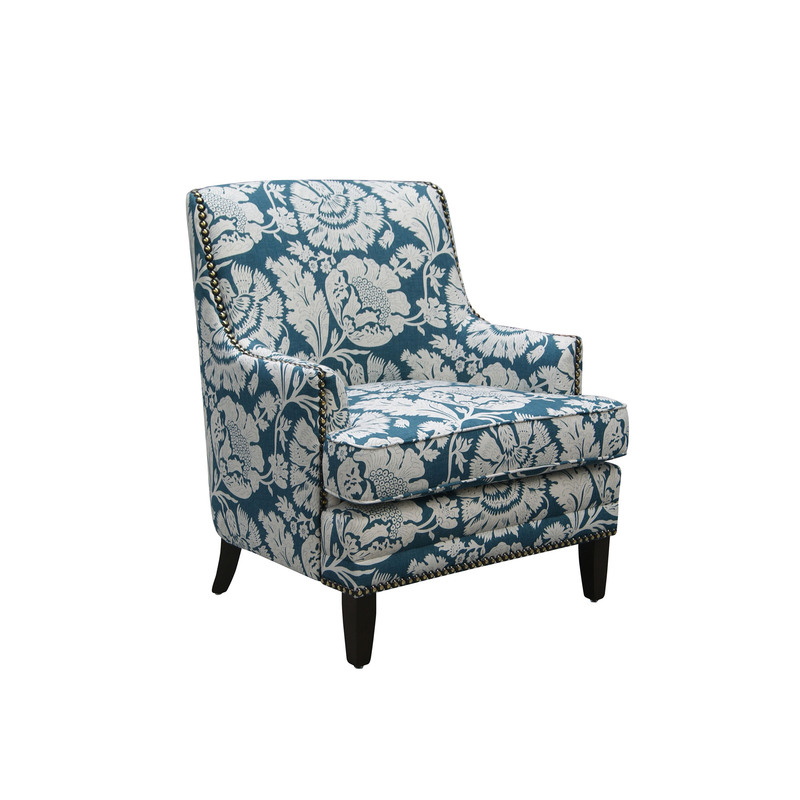 The Carter is a beautifully tailored accent chair with lots of charm and personality. The Carter’s tapered shape, thick cushioning and supportive back will fit snuggly around you leaving you feeling cosy and comfortable. Feature studding accentuates the pleasing form and highlights the Carter’s beautiful proportions. The versatility of the Carter chair is endless. The Carter is the perfect size and shape to fit comfortably into many different room settings and is certain to be a treasured acquisition. 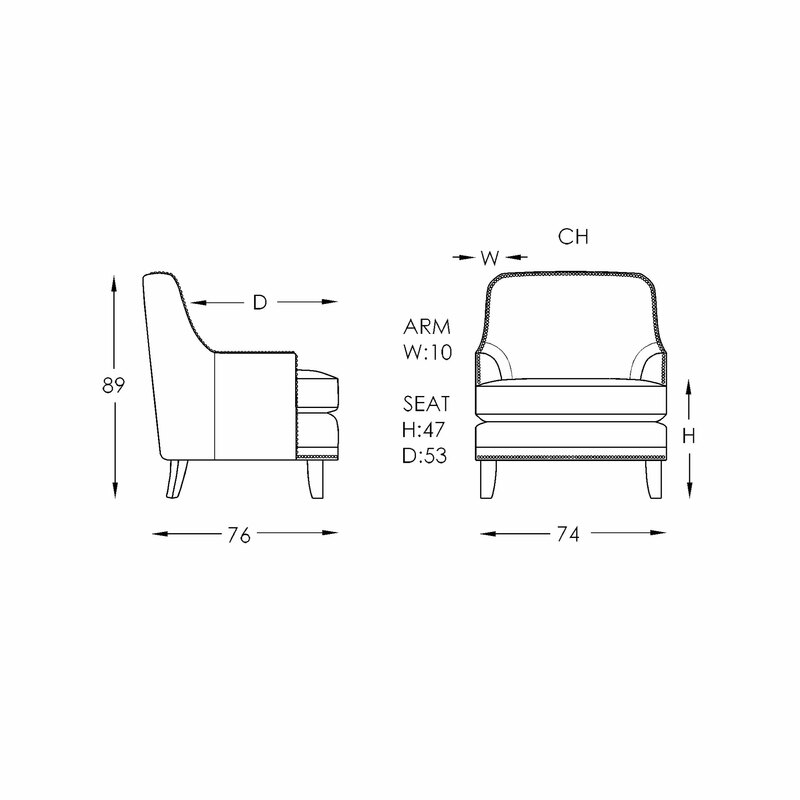 The Carter is a beautifully tailored accent chair with lots of charm and personality. The Carter’s tapered shape, thick cushioning and supportive back will fit snuggly around you leaving you feeling cosy and comfortable. Feature studding accentuates the pleasing form and highlights the Carter’s beautiful proportions. The perfect size and shape to fit comfortably into many different room settings the Carter chair is certain to be a treasured acquisition. The Carter offers endless possibilities in fabric and leather, studs and no stud options. 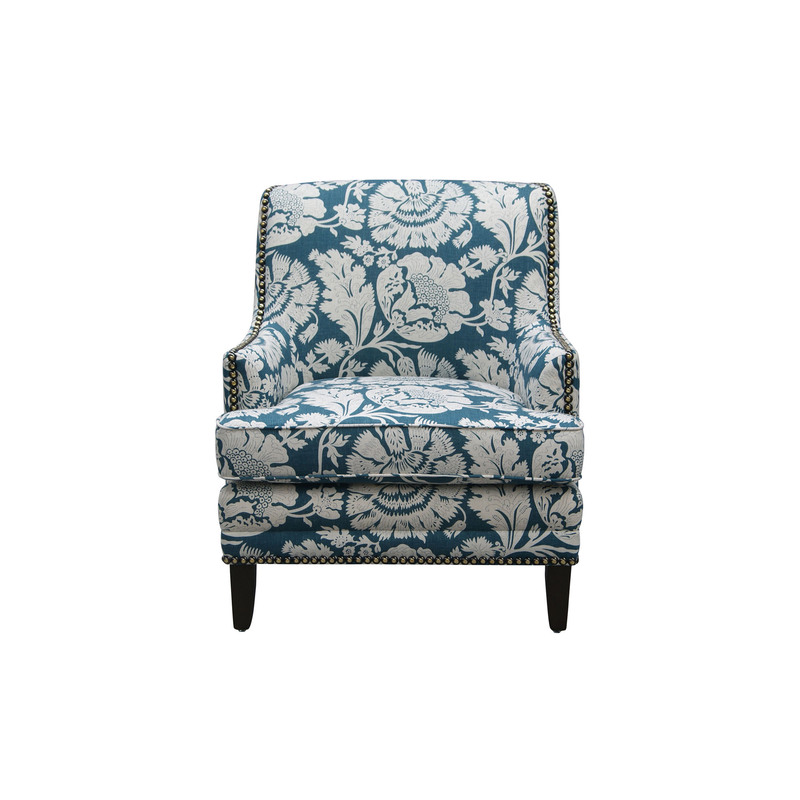 This chair however, truely comes to life when upholstered in delightfully playful patterned fabrics. The graphic pattern featured here expresses in a stunning full bloom of stylised flowers on an indigo coloured cotton/linen base cloth, with other uplifting colours available that will leave you feeling warm and joyful all year round. The Carter is designed in Australia, ensuring that the best aspects of Moran’s unique, luxury style are applied to new designs, staying relevant to local design influences and the modern Australian way of living. Bespoke manufacturing ensures each Moran piece made can achieve a luxurious level of comfort and attention to detailing, that often falls short with widely adopted mass production methods. The Carter Accent chair features a kiln-dried, close-grain hardwood timber frame, providing the underlying quality framework needed for lasting structural integrity. Tempered Steel Sprung Structural Support ensures body correct support and the ultimate experience in long-lasting relaxation, while Spring Cell Seat Cushion Inserts add extra comfort and extend cushion performance, offering an additional layer of individualised support.